Amsterdam has inspired artists and designers for ages. Names like Rembrandt, Van Gogh, Steen, Mondriaan and Berlage come to mind. From the Golden Age to the present day, design has played an important role in the city’s prosperity. During Interaction14, there will be two nights to explore Amsterdam. You may want to extend your stay to take in all the inspiration Amsterdam has to offer. Amsterdam is a world city that needs no introduction. What makes Amsterdam so popular? Is it the atmosphere? Museums? Canals? Concert halls? The clubs, theatres and the nightlife? Or maybe it’s the freedom that city offers with its “live and let live” mentality? 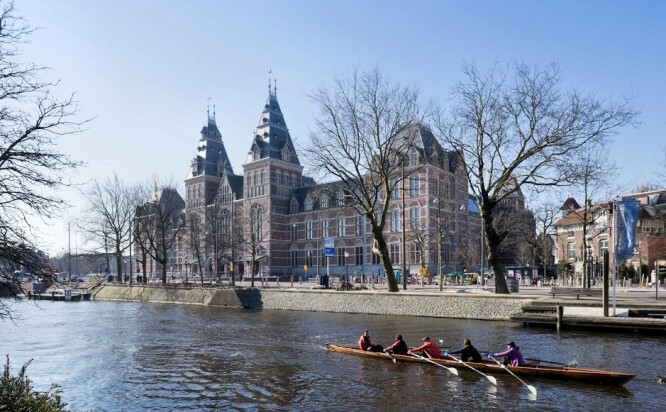 It’s all these things that make Amsterdam such a one-of-a-kind destination. Amsterdam is popular year round. For the best deals, book early. We have secured a limited number of rooms in downtown Amsterdam – at a discount. You can also save up to 15% if you fly with a SkyTeam Alliance airline. Interaction14 is four days of presentations, workshops and inspiration in Amsterdam. We expect to sell out well ahead of the conference. The early bird period for the Interaction Design Education Summit, IxDA Field trips and Workshops on Wednesday ends November 30. This year’s challenge is sponsored by the Gates Foundation. Can you improve children’s health records so remote populations can be served more effectively? Jared Spool will be the keynote speaker of the Interaction Design Education Summit on Wednesday February 5. Jared is the founder of User Interface Engineering. With Leslie Jensen-Inman, he started the Unicorn Institute, a research project rethinking user experience design education. Gillian Crampton Smith, Daniel Rosenberg and Fred Beecher will act as provocateurs at the break-out sessions. Out of the 350 projects submitted for the 2014 Interaction Awards, 91 projects from 18 countries have been shortlisted for consideration. Congratulations to all who have been selected.